A smart home with Control4 automation means more comfort, convenience and security. 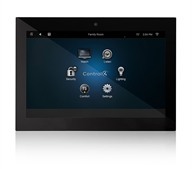 Control4 solutions make it easy to command all things, lights, security, climate control, home theater, music and more, whether you’re at home or on the go. Blinds go up when the sun rises, text alerts arrive when the kids get home from school, lights set the perfect mood for your dinner party with one touch and thermostats set the temperature just right as you head home from work. It’s better living, automatically.